"C" - An arched Blue Whale. "O" - The skeleton of a SeaUrchin. "E" - The head and wings of a Pelican. "X" - The fins of a Sea Turtle. "I" - A surfer, this sketch was modeled after the statue at lighthouse beach. "S" - Two playful Dolphins. "T" - The body and tail fin of a Mako Shark. 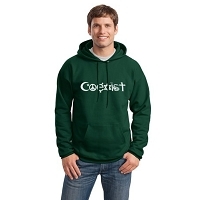 We can print this design for you featuring the name of your organization, city, state or any other place or name you like. 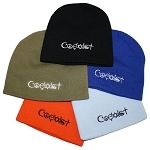 Please contact us for details on custom print projects. All creatures used in this design were originally hand drawn by owner and head artist of Peaemonger, Jerry Jaspar. 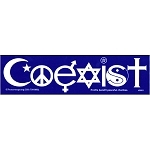 Peacemonger s Original Full Color Mini Bumper Stickers are always bright and beautiful. 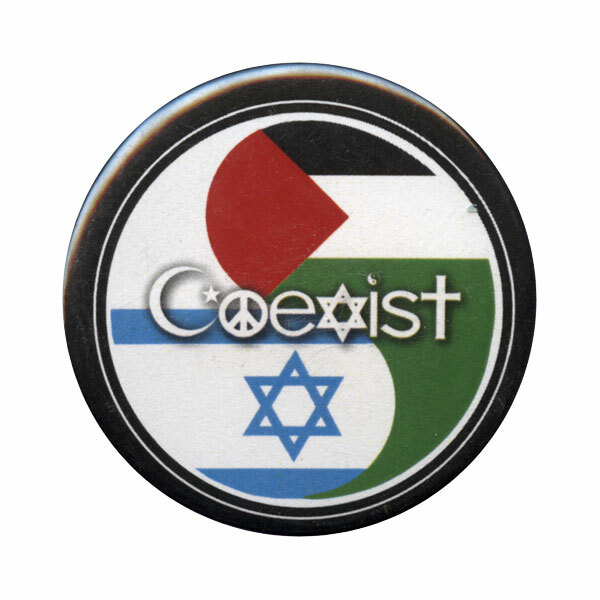 Our selection of Full Color Mini Bumper Stickers are all printed right here in America. 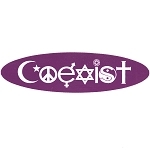 These Color Mini Bumper Stickers are printed on durable high quality vinyl. 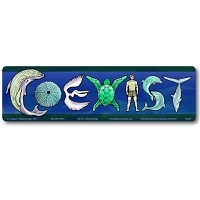 This Full Color Mini Bumper Sticker is weather resistant and will last for years. 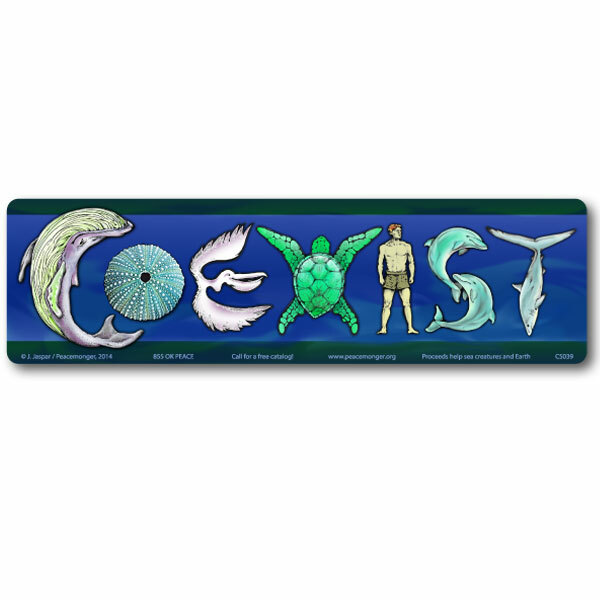 All of our Full Color Bumper Stickers come with an unconditional, 100% satisfaction guarantee. 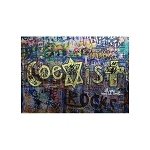 Many of our Full Color Mini Bumper Sticker designs are available on other products. 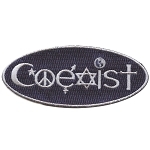 For information on specific products, please email Customerservice@peacemonger.org. 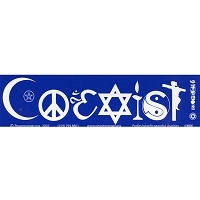 This Full Color Mini Bumper Sticker Measures 5 x 1.5 inches.